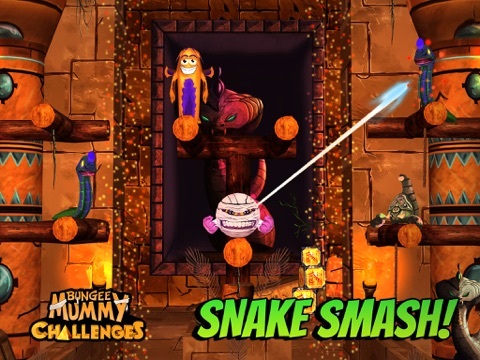 Discussion in 'iPhone and iPad Games' started by BungeeMummy, Nov 18, 2015. 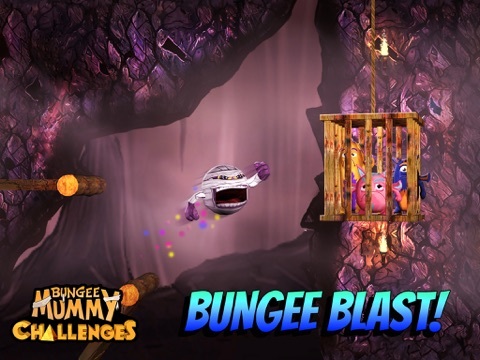 Exercise your brain and your senses in Bungee Mummy Challenges! Each challenge requiring a different skill-set and style of gameplay – whether its tap and shoot, bungee launch, swing with precision or swipe to cut and drop. The difficulty of the challenges quickly picks up momentum – can you be crowned King or Queen of the challenge?! 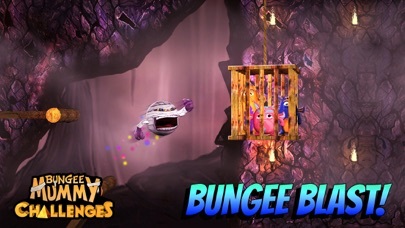 Bungee launch yourself towards the trapped Geemies to help them escape their cages! Collect the golden cages to get another chance. You’ve only got three chances to save them, so don’t miss! 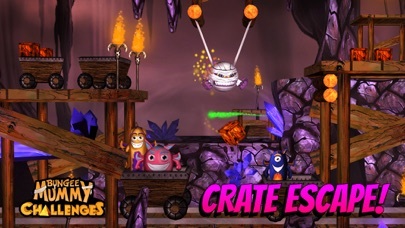 Provide valuable supplies to the escaped Geemies by dropping the crates into the carts at just the right time. There are a limited amount of supplies so be sure your timing is perfect, we can’t let the Geemies go hungry! 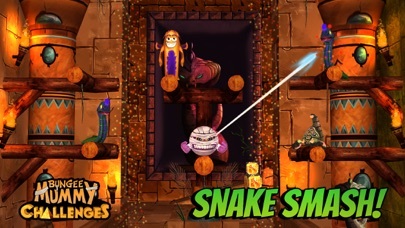 Test your accuracy as you smash snakes and scorpions to gain more time to save the Geemies! Be careful! The Geemies are an inquisitive bunch and are often in wrong place at the wrong time. How many snakes and scorpions can you smash before the time runs out? 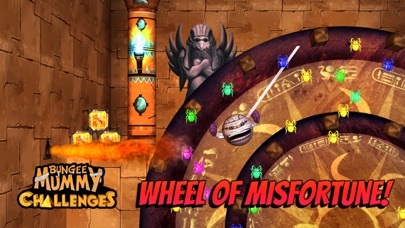 Use Phero’s unique bandage slinging abilities to survive the Wheel of Misfortune. Collect scarabs to gain points but beware! 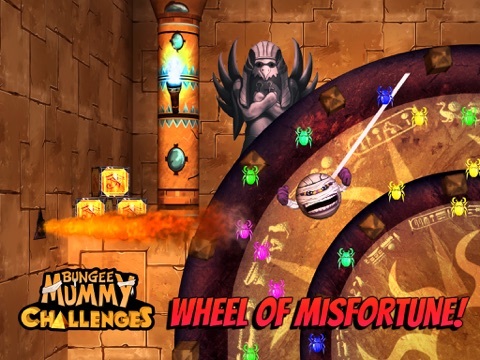 Structures are not as safe as they appear and the wheel is rigged with booby traps! 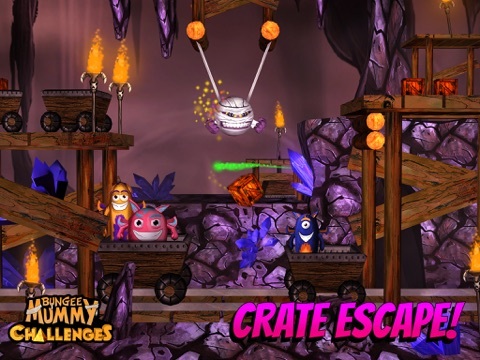 Master these exciting and addictive mini games to help King Phero save the lovable Geemies!